Former sergeant Rick Bond, the police officer in charge when Ms Dhu died in custody in 2014, testifies at a coronial inquest in Perth on Wednesday. 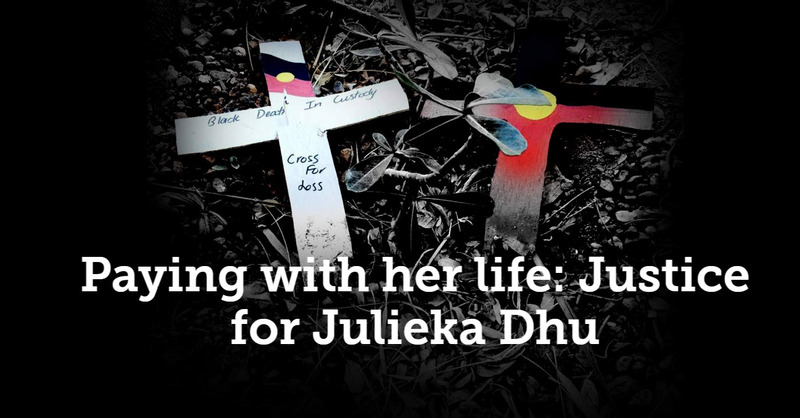 The coronial inquest into the death in custody of Julieka Dhu has heard the Western Australian woman died from pneumonia and septicaemia. Are new NT arrest laws to blame for death? Are more Indigenous people in the Northern Territory likely to die in custody as a result of controversial new paperless arrest laws? Friends and family of a 22-year-old woman who died in custody in Western Australia last month are preparing to lay her to rest.